Audiences all over the US have eagerly gathered in art house cinemas to experience The Invincible Czars’ intricately crafted and precisely performed silent film soundtracks. The band aims to give modern day movie-goers a musical context through which they can better appreciate the importance and artistry of silent era films. Their catalog includes horror, fantasy and westerns movies. Event DescriptionAbout Invincible CzarsTicket Discount! 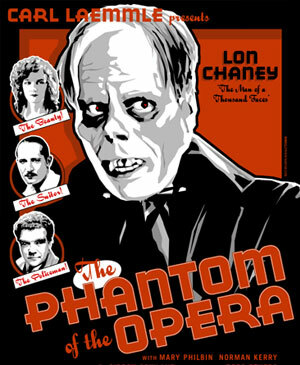 Cast: Lon Chaney (Erik/The Phantom), Mary Philbin (Christine Daae), Norman Kerry (Vicomte Raoul de Chagny), Arthur Edmund Carewe (Ledoux), Gibson Gowland (Simon Buquet). Synopsis: In this silent horror classic, aspiring young opera singer Christine Daaé (Mary Philbin) discovers that she has a mysterious admirer intent on helping her become a lead performer. This enigmatic masked presence is Erik, also known as the Phantom (Lon Chaney), a horribly disfigured recluse who lives underneath the Paris Opera House. When the Phantom takes Christine prisoner and demands her devotion and affection, her suitor, Vicomte Raoul de Chagny (Norman Kerry), sets out to rescue her. 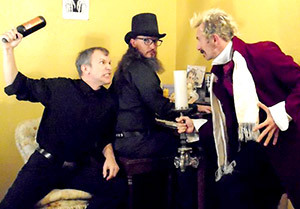 The Invincible Czars make quirky, bold music for lovers of everything in the “other” category. Inspired by comics, sci-fi, fantasy & horror stories, cartoons, comedians, and classical composers, they’re eclectic, dynamic and always have a cinematic flair. In 1998, guitarist Josh Robins started recording musical themes into his four-track recorder that sounded more like bits of movie scores than indie rock songs. He needed more than the usual guitar, bass, and drums to realize these budding rock symphonies; he taught himself to read music, began writing pieces for instruments he couldn’t play, and eventually assembled the first line-up of The Invincible Czars. Since those early days, the Invincible Czars have evolved from a novel act in Austin’s Red River scene to a reverse classical-crossover powerhouse playing all over the US, blending influences as disparate as Tchaikovsky and Van Halen. Whether they’re playing a rock show in a club, a live silent film soundtrack in a theater, or a holiday event in a park, The Invincible Czars are always entertaining and out of the ordinary. Their musicianship is complemented with humor, magic tricks, fun and wacky wardrobe, and occasional minor acrobatics. 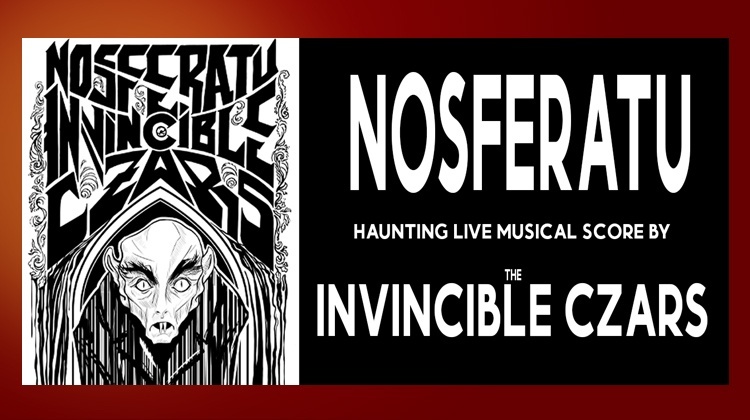 Watch both “The Phantom of the Opera” and “Nosferatu” and receive discount on both tickets! 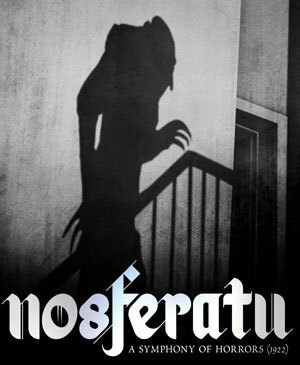 Synopsis: F. W. Murnau’s landmark vampire film begins in the Carpathian mountains, where real estate agent Hutter has arrived to close a sale with the reclusive Herr Orlok. Despite the feverish warnings of the local peasants, Hutter journeys to Orlok’s sinister castle. Hutter soon discovers that Orlok is no ordinary mortal.